There only just over four weeks to go until Christmas. If you're thinking of buying a DNA test as a Christmas present or if you just want to stock up on kits to test your relatives, now is a good time to buy as there are lots of sales for Black Friday and Cyber Monday. 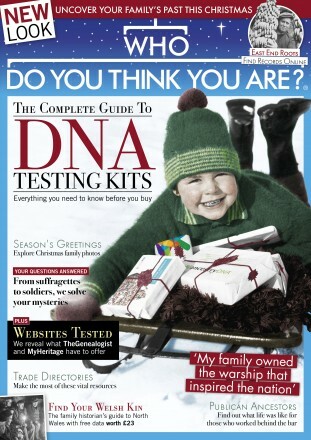 To help you to decide which test to buy I have written a guide to DNA testing for the Christmas issue of Who Do You Think You Are? Magazine. You can read a preview of the article here but you'll need to buy the magazine to read the full article. The magazine is on sale in W H Smith's and other newsagents in the UK. You can also buy a digital version of the magazine here. There is also a special offer on annual subscriptions to Who Do You Think You Are? Magazine with 49% off the usual price until 27th November. The print edition is just £34.99 and the digital edition is £33.26. You will receive 13 copies of the magazine each year. I've provided below a quick round-up of the DNA sales. These details were updated on 23rd November 2018. Family Tree DNA's Family Finder test is on sale for Black Friday weekend for just $39 (£30), the lowest price ever for this test and for any autosomal DNA test. The offer ends on 26th November. You can also buy the Family Finder test in special "bundles" with other tests and get a 40% saving. If you buy a Family Finder test you can add on a 37-marker Y-DNA test for just $99 (about £77). If you order a Y-DNA test make sure you join the relevant surname and/or geographical project. You can find a full list here. The mtDNA full sequence test is just $139 (£109) when purchased with the Family Finder test. On top of all the above savings at FTDNA, shipping is just $9.95 for all kits both domestic and international for the sale period. The AncestryDNA test is on offer until 26th November for just £49 exccluding shipping. The MyHeritage DNA test is also on sale for £49 and their sale ends on 23rd November at 11.59 pm. Living DNA have now teamed up with Findmypast and you can buy the newly branded Findmypast DNA test for just £59, the lowest price ever. The offer includes 14 days of free access to Findmypast's entire archive of more than 9 billion records and historical newspapers. The sale ends at midnight (GMT) on Monday 26th November. Note that Y-DNA and mtDNA are not included in this offer and will need to be purchased as add ons for £19.50. If you want Y-DNA and mtDNA haplogroups you'll need to buy direct from the Living DNA website where the 3-in-1 test is on offer for £69. 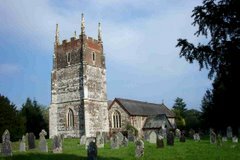 Living DNA are gradually rolling out their relative-matching Family Networks feature to beta testers. I just got access today though so far I don't match anyone else other than my parents. The 23andMe Ancestry test is on sale for £59 and the Health and Ancestry service is on sale for £94. The offer ends on 26th November at 5 am GMT. Note that there is an additional charge for postage and packing for all the above tests. There are similar offers in other countries so check out the company websites to find out the prices in your local currency. Even better, check out this article from Michelle Leonard on the Ancestry Hour blog which provides a detailed overview of all the Black Friday offers.